“Swag Se Swagat”- at the Cultural Evening for our Freshers! In tandem with the ethos of Manav Rachna, we work on multiple strategic initiatives for the holistic development of all stakeholders, maintaining high standards of quality and skill sets. 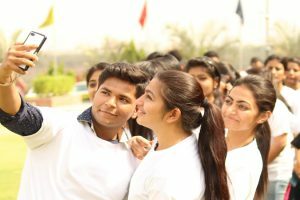 The unique Life Skills Program at Manav Rachna propagates the spirit of camaraderie and provides a rich nurturing ground for honing the life skills of our students. “Swag se karenge sabka swagat” … yes, the cultural evening “Tarang”organized in association with DEARC Academy of Performing Arts set the perfect tone for welcoming freshers at the campus. What an evening it was!! Fashion fever with a message against the ubiquitous evil of society “female feticide”; theatre highlighting the dreams of adolescent hearts; power packed dance performances and melodious music reverberating through the walls of our institute. 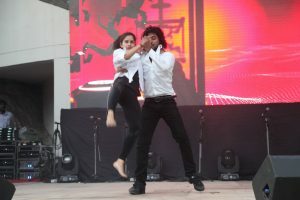 ‘Sway Dance Academy’ left the spectators mesmerized with their flabbergasting performance. There were all the elements to entertain and the evening turned out to be a treat to the eyes and fuel to the soul. The event was a huge hit amongst the audience i.e., our fresh(er) members of Manav Rachna family. 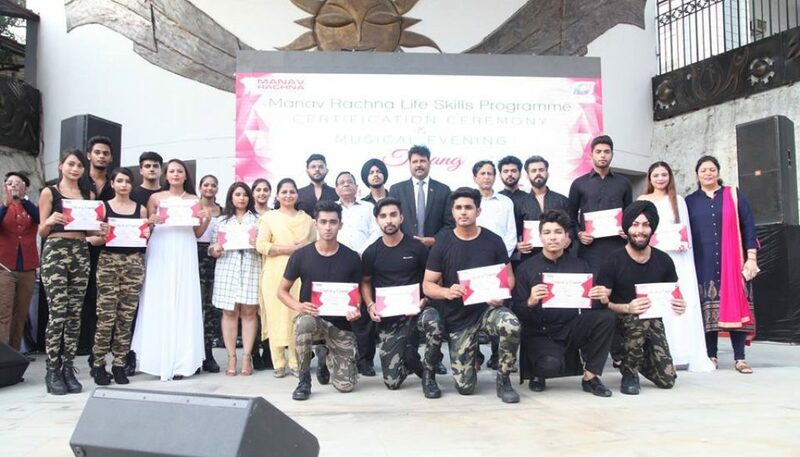 Certificates were also awarded to the Fashion, Theatre, Music and Dance Groups who have been training under various CLANS at Manav Rachna. The event was graced by many renowned personalities from the Fashion and Glamour world including actor and model Rythm Datta (under whose initiative the Life Skills Program has been a huge hit), actor and model Sukhmani Lamba, media personality Rajni Pawar and Vipin Sharma, Blogger Isha Gakhar, eminent personalities Pankaj Sharma and Raj Sharma, Fashion personas Nidhi Bhardwaj and Dhairya Gupta, Maira Khan, Deepinder Singh and many others. The graceful performances left everyone spellbound and the audiences were cheering on the top of their voices to elevate the effervescent spirit of creativity and talent. The event concluded with the musical performance which enthralled the members of Manav Rachna and our guests. 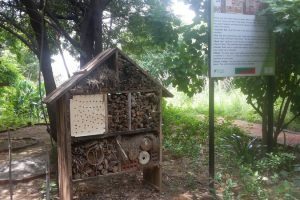 Dear Freshers … a heartfelt welcome to the Manav Rachna campus! 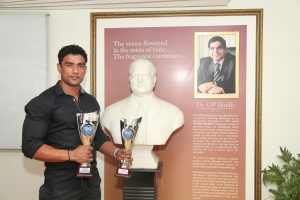 Lokesh Rajput, M.Sc student of MRIU’s Nutrition and Dietetics, is among the top 5 in the Mr Universe 2016 Contest held in Padova, Italy!